The book was put together by Paul Langendorfer, a Buffalo native now living in Colorado. Baseball, he explained, was a prominent presence in his childhood. 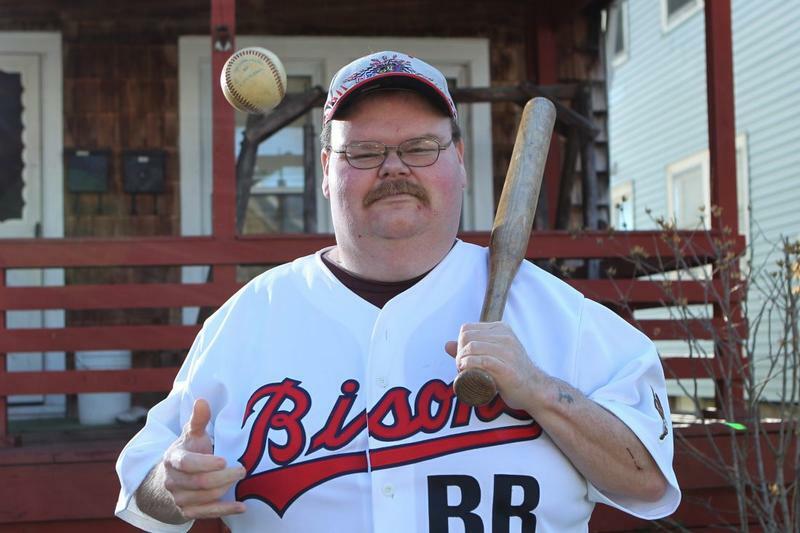 In a conversation with WBFO, Langendorfer recalled hearing tales of legendary Buffalo ball players Ollie Carnegie and Luke Easter from his father. 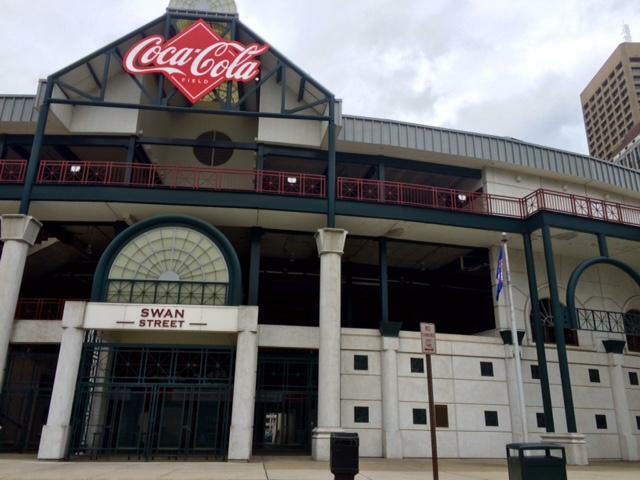 He attended numerous Buffalo Bisons games with his father at the former War Memorial Stadium. 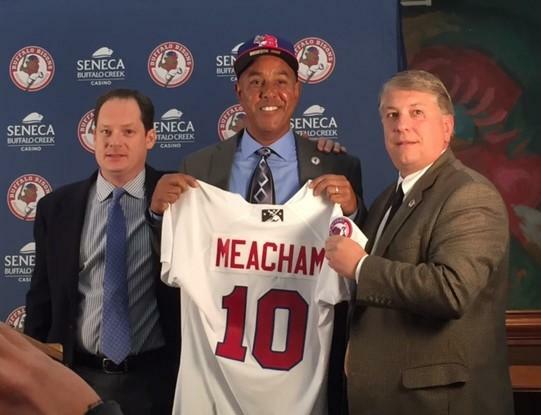 He had the honor of serving as a bat boy for the Bisons in their earliest years at Coca Cola Field, originally known as Pilot Field. His aunt was cast as an extra in the film "The Natural," the Robert Redford film that shot many scenes in Buffalo. 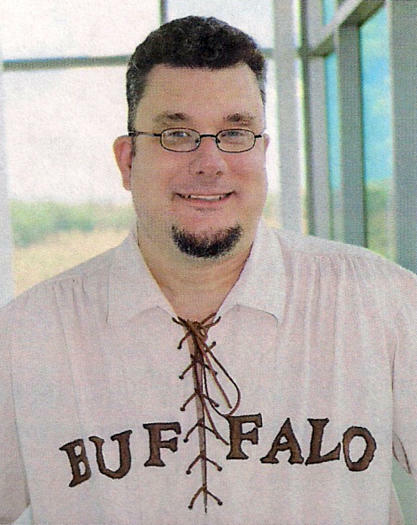 Author Paul Langendorfer, seen here wearing a replica 1800s baseball uniform, has prepared a pictorial book celebrating the history of baseball in Buffalo and Western New York. He remains a passionate fan of the game and plays in a league in Colorado that follows 1864 rules, including no gloves worn by the fielders. Inspired to create a book celebrating baseball in Buffalo, Langendorfer was welcomed to peer through the Buffalo History Museum's collection, which includes several boxes of artifacts previously gathered and kept by the late Joe Overfield, a Buffalo baseball historian and author. Langendorfer was surprised by some of the other baseball artifacts also kept by the Buffalo History Museum, dating back to the mid-1800s. 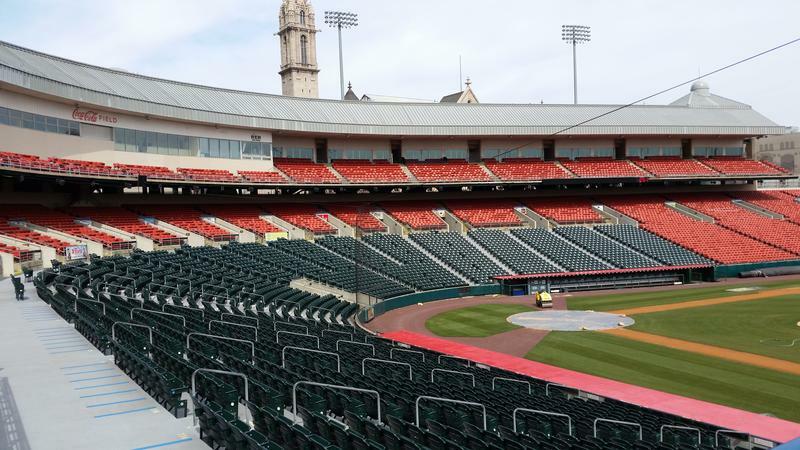 "They have the original archives and scorebook from the Buffalo Niagaras, one of the first baseball teams dating from 1856 to 1860," Langendorfer said. "As I was looking over those books, which were some fascinating materials available for anyone to check out, you can actually see the scorebooks. You can see things (records) like loaned baseballs for a dollar to Canadian teams. You can see dues that were refunded as the players went off to war." In addition to gathering images from the Buffalo History Museum, which is also a credited author of the book, Langendorfer was granted access to the private collection of John Boutet, who serves as the archivist and curator for the Buffalo Bisons. Boutet wrote the foreword for Langendorfer's book and suggests while football and hockey may be the most popular sports among Western New York sports fans today, baseball was the most important sport in the city's history. "Back then, baseball was such an important part of growing up. The whole American spirit was centered around the game of baseball," said Boutet. "Leagues were everywhere in Western New York, not just in the city. Every town, every county had great leagues. We found some really great pictures of some old teams from back in that era, the 20s and 30s and 40s." The game has had its problems throughout its history, from a World Series being fixed by gamblers to racial segregation to steroid use by many of its players. Langendorfer acknowledges that, but still sees the romance of baseball. "It's a father-son thing, it's a mother-daughter thing. That's what I tried to celebrate in this, especially in the chapter For Love of the Game," Langendorfer said. Langendorfer is scheduled to appear at the Buffalo History Museum on Saturday, March 25, from 10 a.m. until 2 p.m. For more information about the book, click here.